The 40-year-old chef visited Ikaria, the Greek island renowned for the longevity of its residents and the subject of extensive research, to explore the role of food and nutritional habits in health and well being. Among other things, Oliver visited the village of Armenistis, where he sampled fried mullet, pumpkin rolled in phyllo pastry, spaghetti with pesto greens, Ikaria’s version of “kopanisti” cheese, herb pie, peas and broad beans with fennel and extra virgin olive oil. 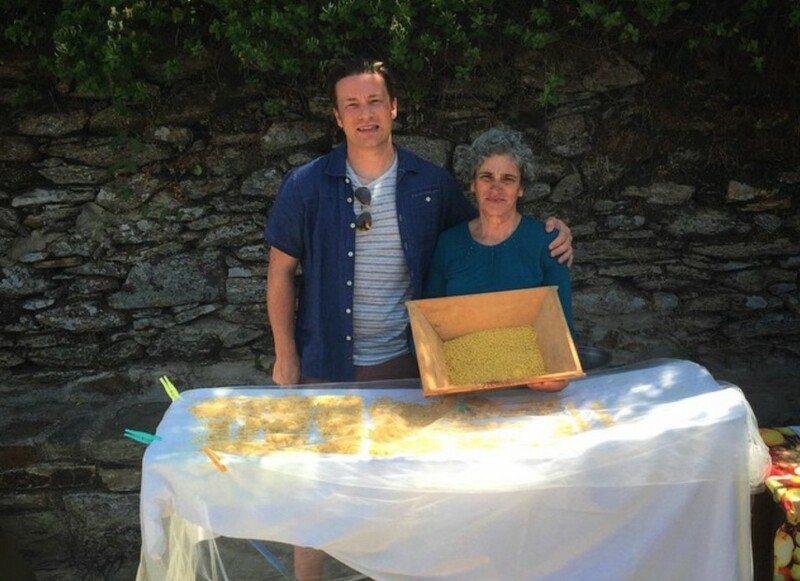 He then donned his apron and joined Ikaria local Mrs Maria to make “trahana”, which he described on his Facebook post as a “very historical healthy whole grain cracked wheat cooked with goat’s milk soured and dried in the sun”. The British celebrity chef, restauranteur and nutrition activist didn’t forget to cast the spotlight on the world famous Greek salad, which he described as “beautifully simple Greek salad the classic way, with juicy tomatoes, olives and crumbly feta! Proper, bold flavours and super fresh ingredients”. 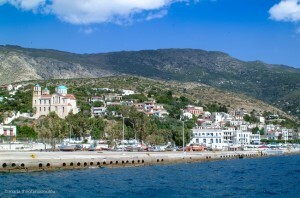 Ikaria, one of the northern Aegean islands, was included on the “blue zone” list of locations across the globe where residents have unusually long life spans.